At One shows how we are able to create a beautiful garden for the pleasure of both humans and wildlife. 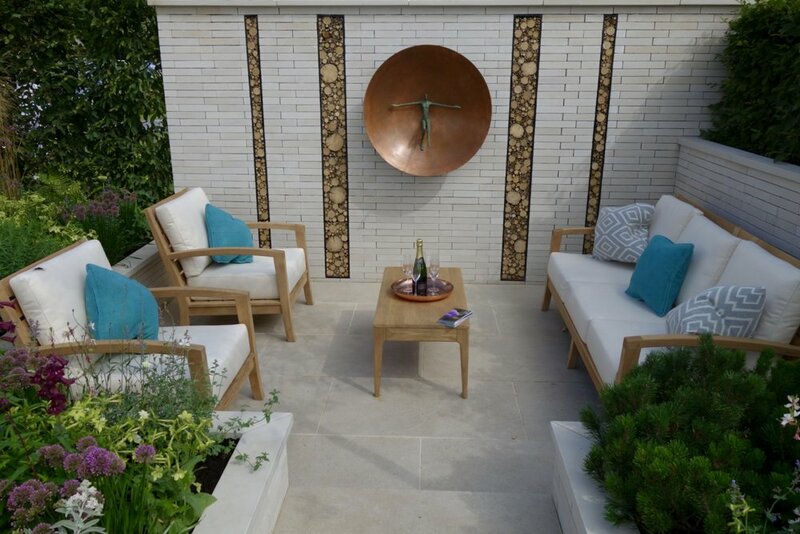 Designed for a young professional couple as a relaxing, entertaining space, the At One garden demonstrates how it’s possible to create a beautiful space for the benefit of both humans and wildlife. The garden has a contemporary design with a light and airy feel that incorporates plenty of homes for birds, bees, butterflies and insects to live and thrive as well as pollen rich planting to sustain them. Four trees provide a framework of the garden yet also creating height and lending a calming dappled shade over the lowered seating area. "To come away from Tatton with a Gold medal and the title of RHS Young Designer of the Year is a fantastic feeling. I have wanted to create At One for a while and It was great to be able to see it come to life." Watch Will talk through his design at RHS Tatton Park Flower Show above. This beautiful house in North London oozes character and charm, hidden away from the urban surroundings. 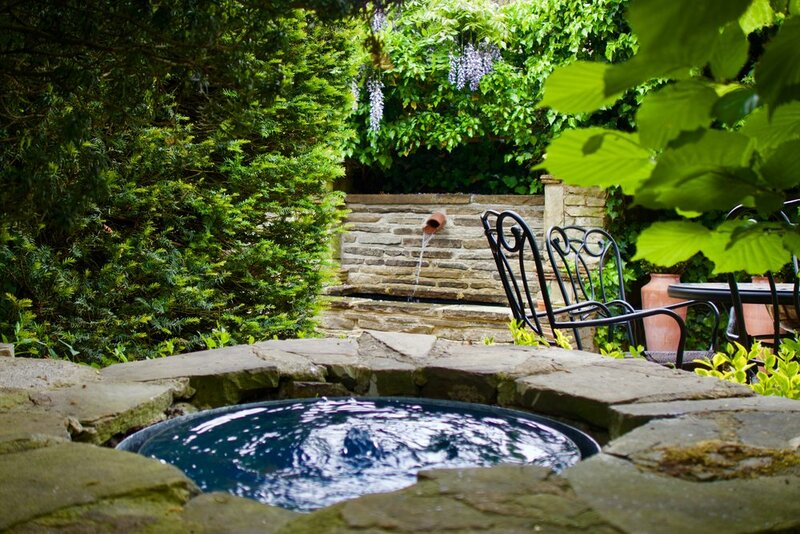 The gardens have vast amounts of history dating back to 1923 when it was published in the Ideal Home Magazine. We wanted to show the history within the garden and create something that looked as if it had been there for years. Up cycling the York Stone paving to create our copping stones was just one of the ways we managed to create the 'aged' look we were after. Although the new space looks like it could have dated back to 1923, the technology around the space is truly 21st century. A Bose speaker system surrounds the area along with smart lighting, creating a space where one can drift away and take a minute from the rush of everyday life. "It was a beautiful garden to design and see come to life, a piece that will live on for another 100years"
In this striking new development just outside of Oxford, six luxury houses are being built. The contemporary style had to run into the garden, with beautiful simplicity. The garden has been designed to incorporate the far reaching views of the Oxfordshire landscape. 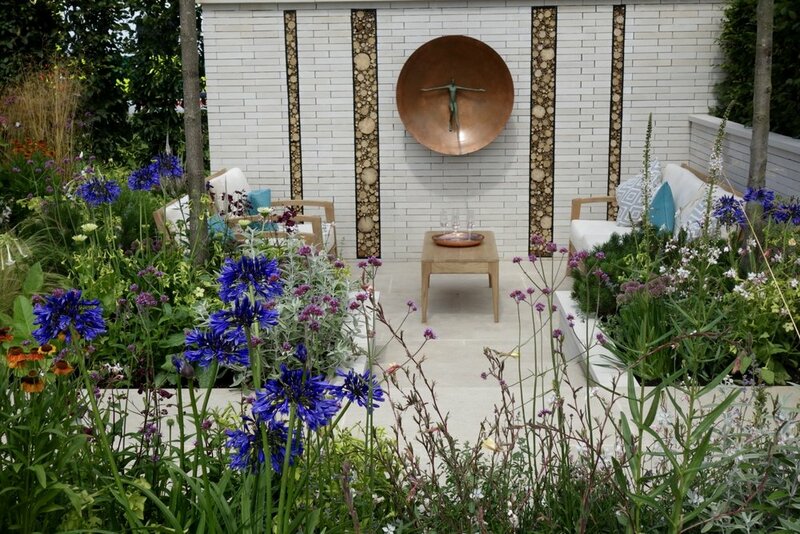 Our show garden this year at RHS Hampton Court Flower Show aimed to show just how effective trees can be against some of todays environmental issues. The concept for Holding Back The Flood was inspired by a small town in North Yorkshire, Pickering.The town suffered year-on-year flooding, which led to a government request of £20 million pounds towards a flood protection grant. It was proposed for this money to be spent on building concrete walls to protect the town. Unfortunately the government wasn’t able to help on this occasion. Duly, the town then began to look at alternative methods and then came across the concept of using strategic trees and plants planting to protect them instead. After only spending 10% of what they had originally asked for the project was a huge success. "It was a great feeling to be back at Hampton for the second year running. I am thrilled that we managed to build such a complicated garden in the time that we had. It might seem easy to recreate a flood...however it turned out to be quite a challenge!" 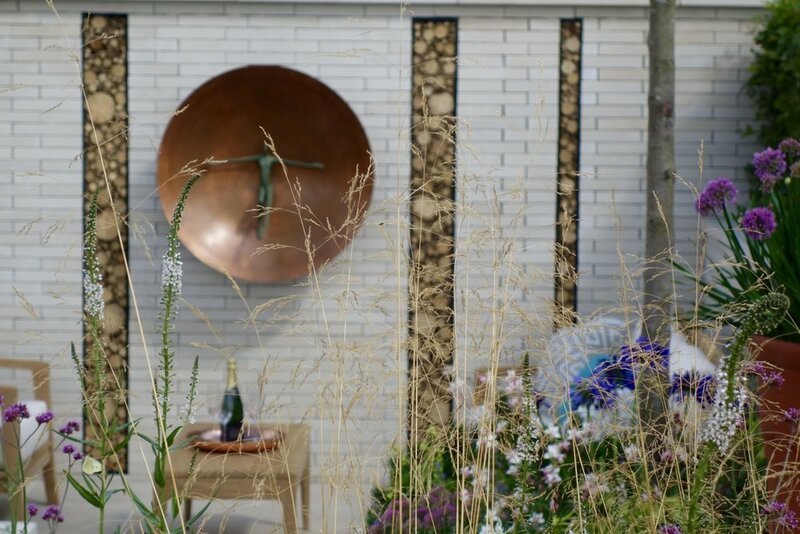 This contemporary show garden aimed to show just what can be achieved in a small urban space, the design was inspired by walks along the South Downs. We used traditional materials in a modern way, from the handmade bricks to the knapped flint. Hampshires fantastic scenery surrounding this house lends itself to a classic design. Cambridge Cottage is a luxury venue, set within Kew Gardens, used for weddings, functions and private parties. This design is based on a formal Italian garden, but around a love and romance theme. Within the design there are secret hideaways and places for memorable photo opportunities with Kew Gardens in the background.